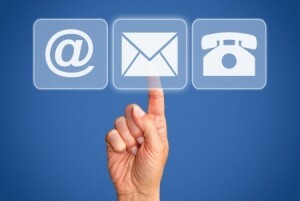 Have you ever wanted to send an e-mail to someone but didn’t want it to be traced back to you? There are lots of reasons why you might want to do this. Maybe you want to prank a friend or declare your love for someone but aren’t sure how they will respond. Maybe you want to report abuse or illegal activity but don’t want to get caught up in the situation. Or maybe you want to give someone some constructive criticism but don’t want them to know the e-mail is from you. Whatever the reason there are now ways to send an anonymous e-mail online. You want to make a complaint or suggestion that you cannot do personally. Before we show you how to send an anonymous e-mail we would first like to tell you to think before you click. Are you sending an anonymous email that you are going to regret? Are you sending something abusive or something that is going to really hurt the recipient? If so you would be best dealing with your problems personally rather than going down the anonymous e-mail route. Clearly there are reasons when an anonymous e-mail is a great option but please make sure that you think things through clearly first. There are a variety of different anonymous e-mail services available for you to use today and a quick search in Google will bring up a selection of results. Some of these services are better than others so before just sending an e-mail from the first website you come across, take the time to look through the website and maybe also see if you can find any recommendations for it from other people who may have used the programme. Some anonymous email services may not be as anonymous as they appear. Additionally, we at Pingler also have our own anonymous e-mail programme for you to use. Our anonymous e-mail tool is simple to use and only takes a few seconds. All you need to do is enter the recipient’s address, the subject of the e-mail and the message and then press send. It is that simple. Just be careful. When Is The Best Time to Send an Email to Your List? Biggest problem with trying to send anonymous emails is the fear that they are not truly anonymous.